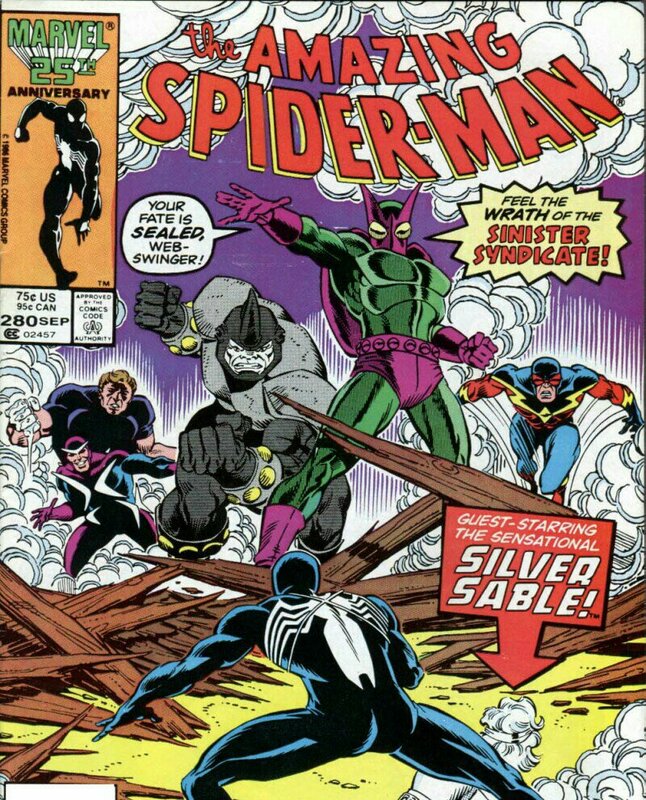 Synopsis: Introducing the Sinister Syndicate was written by Tom DeFalco, with layouts by Ron Frenz and pencils and inks by Brett Breeding and opens with Peter ‘Spider-Man’ Parker carrying Silver Sable through a firefight. The mismatched pair are being attacked by a collection of villains which includes Rhino, Boomerang, the Beetle, Speed Demon and Hydroman. The battle isn’t really going well for Spider-Man, who remembers how he got into this mess. Earlier: Spider-Man reads an ad in the paper to meet the international bounty hunter Silver Sable at the mission to the UN of her home nation Symkaria. He arrives and interrupts a potential bit of afternoon delight between Sable and a guy called Hamed. Sable asks for his help in bringing in the mercenary/terrorist Jack O’Lantern. Spider-Man isn’t to keen to seek out and battle a super villain for money, a thought that Sable really doesn’t understand at all. Subplot time. Flash Thompson is in police custody, accused of being the super villain known as the Hobgoblin. He’s also been accused of cheating on his live-in girlfriend Sha Shan with the married Betty Leeds, thing is that’s something he did do. The two women meet at the precinct and things are a bit tense as Sha Shan is quite keen to throw Flash under the bus in regards to an alibi, much to the chagrin of Sharon Banks, Flash’s lawyer. Peter arrives there and is informed that Flash’s defense will need more money. This inspires Peter to accept Sable’s offer to meet and go after Jack O’Lantern. The pair plan to meet at Coney Island and we’re back to where the story started, well once the arriving villains announce themselves as the Sinister Syndicate. Don’t laugh, that’s the name they went with. Subplots again and Ned Leeds leaves his wife as elsewhere, Jack O’Lantern applauds his clever handling of the threat of Silver Sable and Spider-Man. Not too far away, Sandman is unconnected to all of this, enjoying being the live-in lodger to a local family and being free of his criminal life. 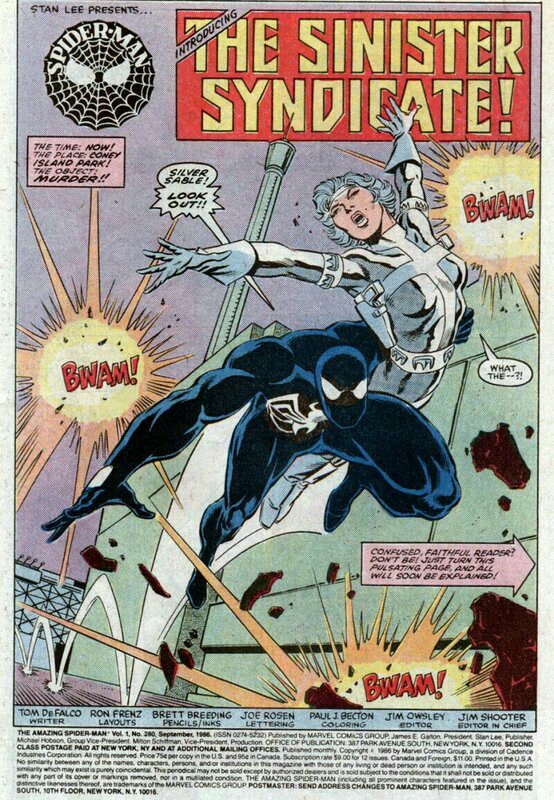 The battle starts going the way of Spider-Man and Sable. Back in subplot land, Jack O’Lantern fails to get a job with the Kingpin and Mary Jane’s boss Roderick Kingsley meets with the real Hobgoblin. Later Jack O’Lantern tries to get a job with a rival of the Kingpin, known as the Rose. The Rose, or someone working for him calls the real Hobgoblin (whose face we still don’t see) who decides he really needs to do something about this Jack O’Lantern guy. 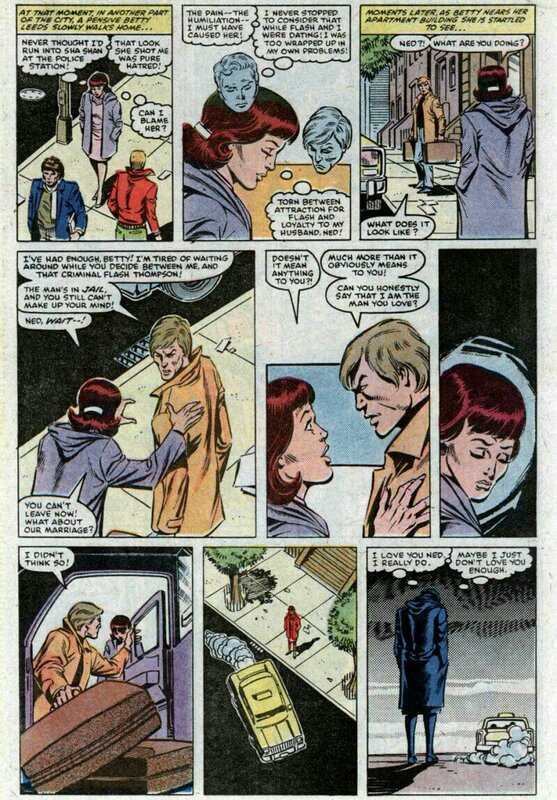 He then leaves and bumps into Mary Jane and they walk down the street together. 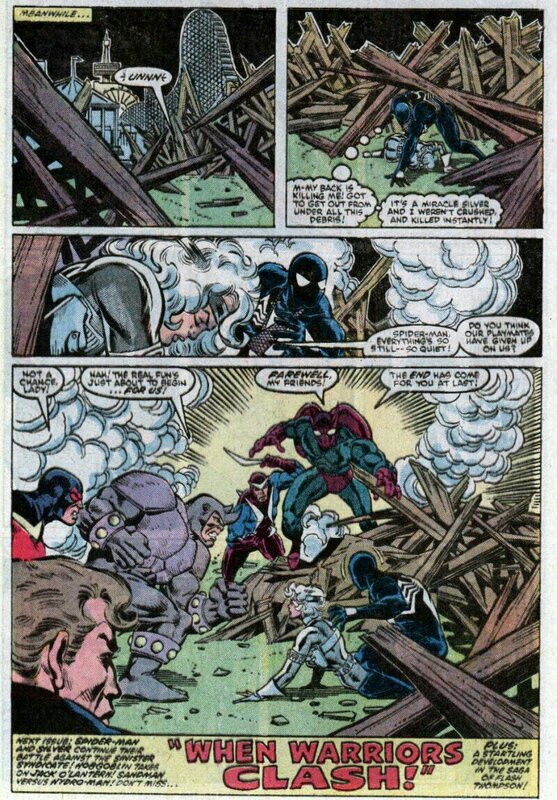 Back to the fight and the Beetle causes a large explosion and several rides collapse on Spider-Man and Silver Sable and as they get out of the rubble, the Sinister Syndicate prepare to attack again. 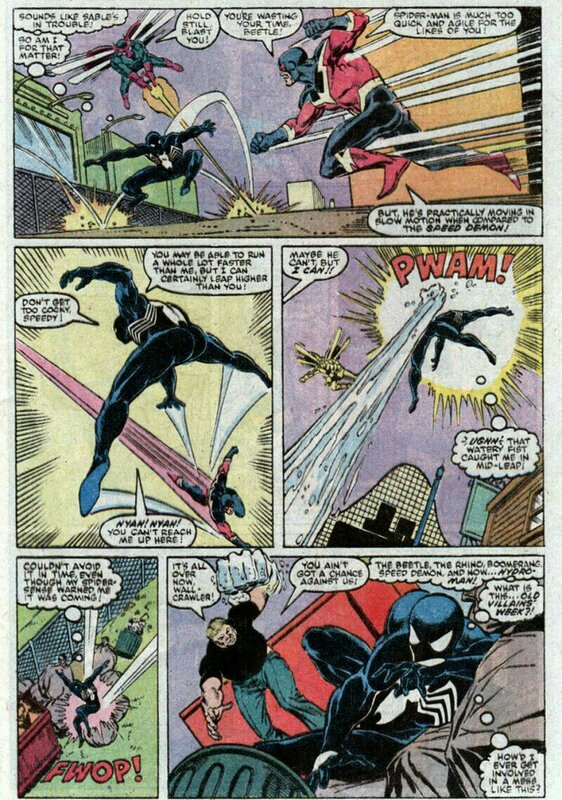 Notes: In April 1986’s post I lamented over the portrayal of Spider-Man, it didn’t seem like the Spider-Man comics I had enjoyed before, this was a bit more like it. 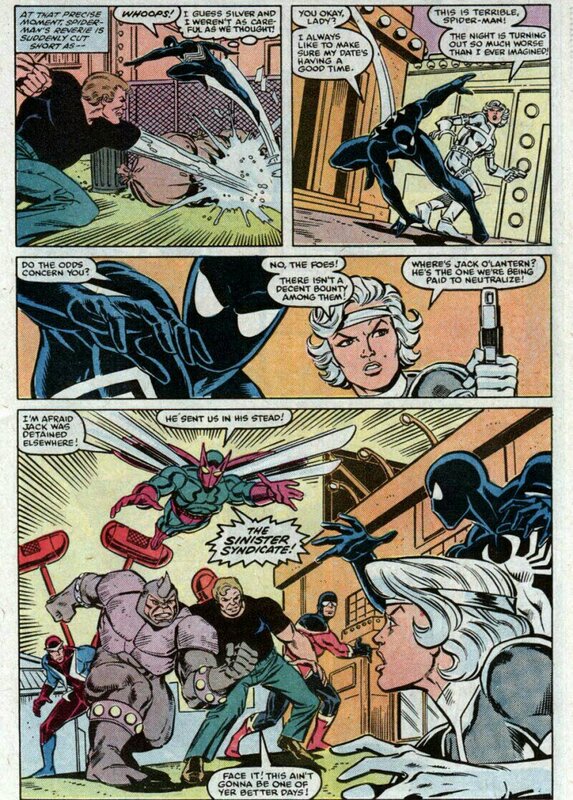 Here we had Peter trying to do the right thing by Flash Thompson and that’s why he takes the job with Sable. There are many running subplots in attendance, many revolving around the Hobgoblin and yet each one feels like a story in and of itself, with nothing feeling superfluous. 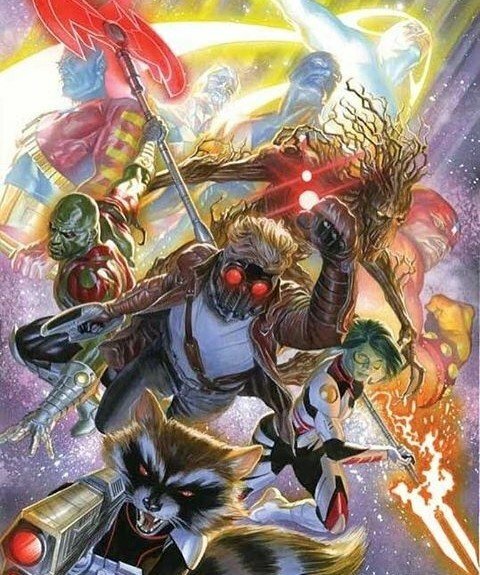 The art is very house style, but not in a way that is detrimental to the story. 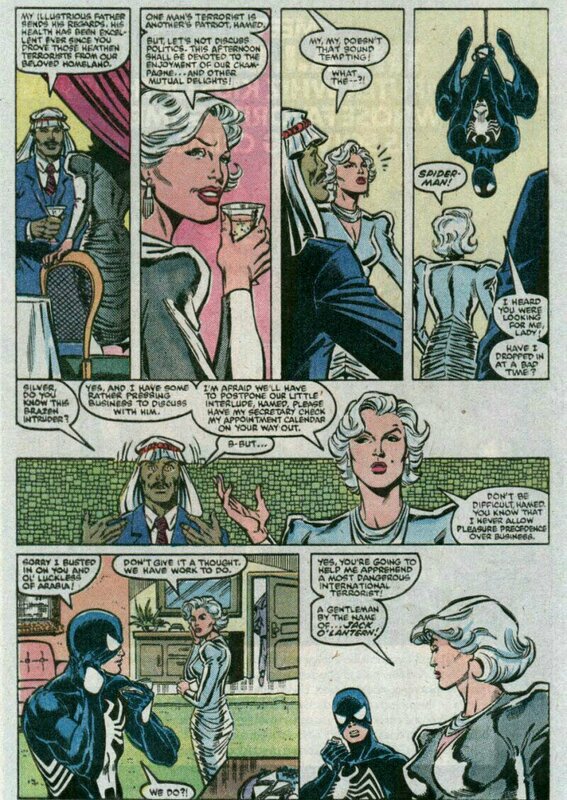 The strangeness of the story comes from the addition of Silver Sable. Years later, she would headline her own series with a team of unused C-list characters including Sandman. Maybe this was an early test to see if the idea had legs. Beyond that, this was a fun Spider-Man story with subplots, action, ongoing storylines and crap villains. Speed Demon (who used to be called the Whizzer, no really, the Whizzer, wearing yellow too)? The Rhino, well the Rhino is usually good value. Without tracking down the Gibbon, you’d be hard-pressed to find a less impressive lineup. 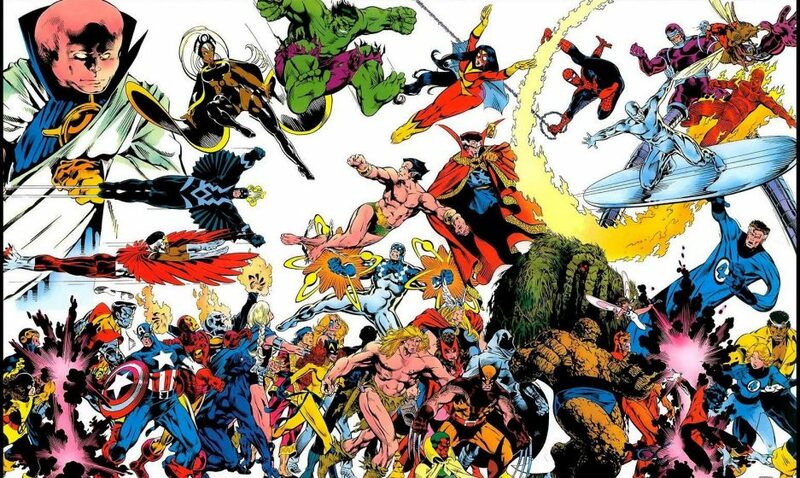 Next Time: Jim Shooter unveils a universe, but not an old one. 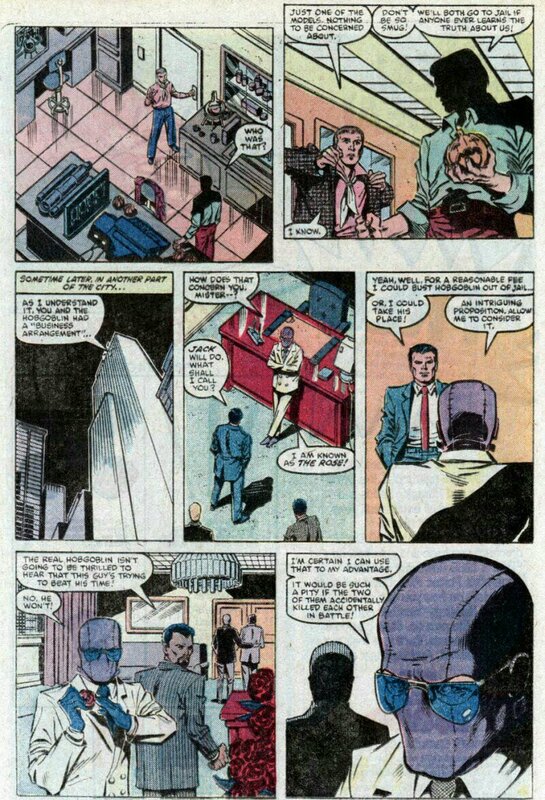 ‹ PreviousMay 1986: Fantastic Four 293 – Or, so who’s actually looking after the kid?